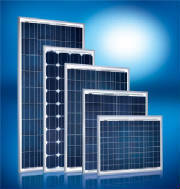 Energy Conservation Technology Solutions Ltd.
Sunmodule is an innovative module concept. The Sunmodule is produced in state-of-the-art, fully automated production facilities, meeting the highest possible quality standards. Our Sunmodule modules guarantee consistent output and set themselves apart with their outstanding product features. The performance of every individual module is determined with oversized "flashers". The modules are then sorted in 5-watt steps, making the time-consuming process of sorting the modules on-site unnecessary. Address: #31 Exchange Lots, Couva, Trinidad, West Indies.